A Home Equity Loan is a type of loan in which you are provided a sum of money and use the equity in your home as collateral. 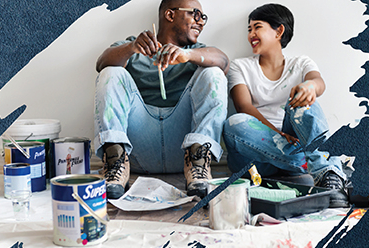 Home equity loans can be used for a variety of things: to fund home repairs or improvements, consolidate debt or even help pay for a college education. Right now EARN A $200 CASH BONUS* with a Home Equity Line of Credit! A Home Equity Line of Credit, or HELOC, offers a little more flexibility than a traditional Home Equity Loan. These loans (Ohio owner occupied properties only) can also be used for a wide variety of needs, including as a "rainy day" fund. Our Line of Credit has a variable HELOC rate with all the ease and flexibility you need. Right now you can earn a $200 cash bonus with a BMI FCU HELOC. See below for rules and disclosure. BMI FCU® provides you plenty of choices when it comes to home equity loans (Ohio owner occupied properties only). We offer low fixed home equity loan rates and terms.